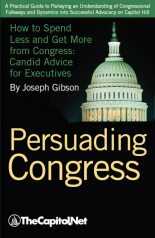 One or both chambers of Congress may formally express opinions about subjects of current national interest through freestanding simple or concurrent resolutions (called generically “Sense of the House,” “Sense of the Senate,” or “Sense of the Congress” resolutions). These opinions may also be added to pending legislative measures by amendments expressing the views of one or both chambers. Sense of the House or Senate resolutions take the form of simple resolutions because they only require the approval of one chamber. A sense of Congress resolution, on the other hand, must be a concurrent resolution as both the House and Senate must approve such measures. Joint resolutions are not typically used for expressions of congressional opinion because joint resolutions generally require presidential approval. “Sense of” resolutions are considered under the normal legislative processes of each chamber applicable to any other legislative vehicle. Because “sense of” resolutions do not involve the expenditure of public funds, such resolutions when reported from House committees are placed on the House calendar. Typically, the House considers them through suspension motions, by unanimous consent request, or under the terms of a special rule reported from the Committee on Rules. 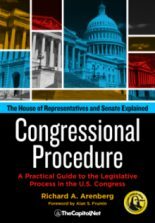 The Senate normally takes up “sense of” resolutions by unanimous consent or, more infrequently, they are automatically laid before the Senate under the “resolutions…over, under the Rule” process (Senate Rule XIV). A “sense of” resolution is not legally binding because it is not presented to the president for his signature. 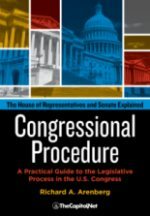 Even if a “sense of” provision is incorporated into a bill that becomes law, such provisions merely express the opinion of Congress or the relevant chamber. They have no formal effect on public policy and are not considered law. However, a “sense of” resolution may invite executive branch compromise with Congress, but without making law. Besides expressing such views through simple or concurrent resolutions, Congress may attach such provisions to a bill by way of floor or committee amendment. In the House, a “sense of” amendment must be germane to the overall measure and to the particular portion of the bill to which it is added. Violations of the germaneness rule can be overcome through motions to suspend the rules or by provisions in a special rule waiving certain points of order. Senate rules give more latitude to Senators to offer “sense of” amendments in committees or on the floor. In general, the rules of the Senate normally do not require amendments to be germane to the pending bill. Germaneness of amendments is required once the Senate invokes cloture. “Sense of Congress” or “Sense of the Senate” amendments offered post-cloture are germane if the subject of the “sense of” amendment falls within the jurisdiction of the committee reporting the underlying bill. 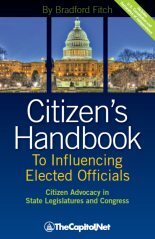 “Sense of” resolutions and amendments expressing the sense of one or both houses of Congress have offered on many issues. A survey of “sense of” resolutions and amendments offered during the 105th Congress shows that most of them focused on foreign policy matters, particularly resolutions that express the sense of the Senate. 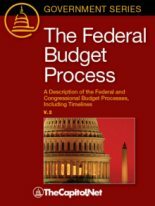 However, “sense of” proposals have also addressed domestic policy issues, such as calling for certain federal agencies or officials to take specified action or to refrain from some action. Although “sense of” proposals have no force in law, foreign governments pay close attention to them as evidence of shifts in U.S. foreign policy priorities. On domestic issues, agencies also monitor “sense of” provisions because they may be an early signal that the Congress will alter formal statutory provisions, although because of the informal nature of “sense of” provisions they do not directly influence agency policy. 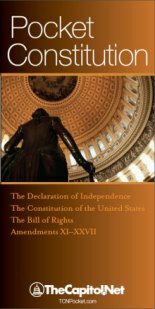 Also see Amendment; Committee Amendment; Concurrent Resolution; Germane / Germaneness; Unanimous Consent; § 8.160 Congress and Foreign Policy: Legislation, Appropriations, and Nominations, § 9.50, Legislation Effective within Congress: Simple and Concurrent Resolutions, in Congressional Deskbook.